The last two decades have witnessed an explosion of research on sexuality as the social sciences have worked to find new ways of understanding a rapidly changing world. Growing concern for issues such as population, women's and men's reproductive health, and the HIV and AIDS pandemic, has since provided new legitimacy for work on sexuality, health and rights. 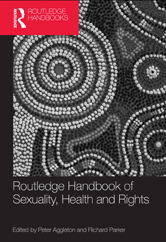 A detailed and up-to-date reference work, The Handbook of Sexuality, Health and Rights provides an authoritative overview of the main issues in the field today. Leading academics and practitioners are brought together to reflect on past, present and future approaches to understanding and promoting sexual health and rights.